Professor. Joint between Chemistry and Warwick Medical School. We exploit organic, polymer and carbohydrate chemistry to address global healthcare issues, with particular relevance to regenerative medicine and infectious diseases. This includes our world-class research into polymer-based cryoprotectants for cell storage and distribution; new materials for probing glycan function and translation to biosensors; Innovative approaches to antimicrobials by disrupting extracellular components. The work is highly interdisciplinary and our large and vibrant research group comprises of chemists, biochemists and biologists. We have unique facilities for synthesis, recombinant protein expression /microbiology as well as an analytical laboratry and dedicated tissue culture laboratory. 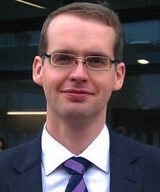 Professor Gibson is jointly appointed between Chemistry and Warwick Medical School. Biggs, C.I., Bailey, T.L., Graham, B., Stubbs, C., Fayter, A., Gibson, M. I., Nature Communications, 2017, 1546., Polymer Mimics of Biomacromolecular Antifreezes. Mitchell, D.E., Clarkson,G., Fox,D.J., Kaner, R.A.,Scott, P., Gibson, M.I., Journal of the American Chemical Society, 2017,139, 9835–9838 Antifreeze Protein Mimetic Metallohelices with Potent Ice Recrystallization Inhibition Activity. Mitchell DE., Lovett JR, Armes SP and Gibson MI, Angewandte Chemie, 2016, 55, 2801 - 2804, "Biomimetic Block Copolymer Worms Combined with an Ice-Inhibiting Polymer Enable Solvent-Free Cryopreservation of Red Blood Cells"
Deller, R.C., Vatish, M., Mitchell, D.A., Gibson, M.I., Nature Communications, 2014, 5, 3244, "Synthetic polymers enable non-vitreous cellular cryopreservation by reducing ice crystal growth during thawing"
Jones, MW, Otten, L, Richards, S-J, Lowery, R., Phillips DJ., Haddleton DM., and Gibson MI. Chemical Science. 2014, 5, 1611 - 1616 "Glycopolymers with Secondary Binding Motifs Mimic Glycan Branching and Display Bacterial Lectin Selectivity in Addition to Affinity"